To cold out with lots of argentine ants in the house, could I use the km ant pro indoors? I recently purchased the km ant pro and ant gel so far the ant gel is being very much ignored, I placed it five feet from where they come out, I placed them in baby Gerber glass jars with hole on lid they do go in the jar but they come right back out and don’t take the bait as if they know what it is. Ant baits require the worker or scout ants to first find the bait, then lay down a "pheromone trail" which recruits and attracts other ants. Its not like going fishing where the fish find the bait, get hooked, etc. Using any ant bait takes some time. Just because you see ants leaving the the jar alive and without any bait doesn't mean that they haven't consumed it, and that other ants won't come looking. Give it some time. Also, don't clean, use cleaners or anything around or near the bait. This will disrupt the ants completely, plus destroy any pheromone trails. 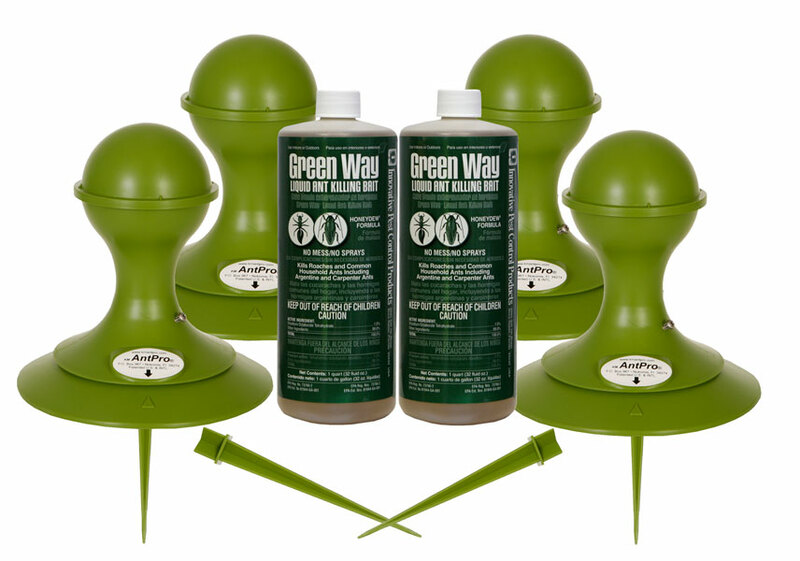 The KM Ant Pro dispensers are designed to replace the ants natural food sources. Using them indoors can give sketchy results. The best results are obtained by using them outdoors, in the ants natural feeding areas, under shrubs, in cool shady places. Ants don't feed outdoors in cold weather, in direct sunlight, when its raining, etc. The best thing to do is to wait until the weather warms up and then start your outdoor ant baiting program. Outdoor baiting will help to "pull" the ants out of the house, as ants indoors, will go outdoors looking for food. If the ants are under the house, and you don't want to wait until the baits have a chance to work, then you may have to resort to wall void treatments, etc. If you need help on this let me know.